Published in Bridget Welsh (Ed.) (2004), Reflections: The Mahathir Years. John Hopkins University, Washington DC., pp. 220-230. The Orang Asli (original or first peoples) are the descendants of the earliest known inhabitants who occupied the Malay peninsula before the establishment of the Malay kingdoms. While some of their 780 settlements are to be found along the coast, on the plains, and on the fringe of urban areas, the majority of the Orang Asli live close to, or within, forest areas. Nevertheless, each Orang Asli community inhabits a specific geographical space, which it calls its adat or traditional land, and draws its culture, identity and spirituality on the basis of its close relationship with this particular ecological niche. For the most part the Orang Asli have been a forgotten community except when their land, labour, knowledge or especially their votes, mattered more to others. Politically, although the Orang Asli have traditionally been supporters of the ruling coalition front, their electoral loyalty is often towards a particular person rather than to a particular party. 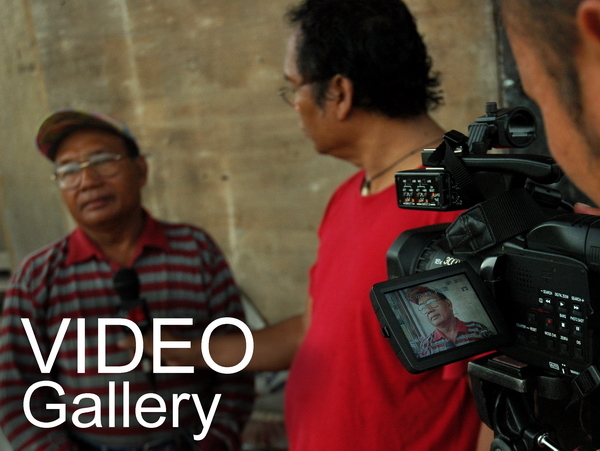 Thus former Deputy Prime Minister Ghafar Baba was held in high regard by the Orang Asli. So too was Tengku Razeleigh, both when he was in government and when he was the leader of the opposition Parti Melayu Semangat '46. Dr. Mahathir too was accorded this honour, even though he was on the ground far fewer times than the afore-mentioned two leaders. To most Orang Asli, Dr. Mahathir reflected moderation, developmentism, secularism, and outspokenness (often bordering on bravery) on many issues they identified with. On the other hand, for example, the deposed Deputy Prime Minister, Anwar Ibrahim, was never really accepted by the Orang Asli mainly because of his early image as a firebrand Muslim. Thus, during the turbulent Reformasi years (1998-2000), many Orang Asli were convinced that Dr. Mahathir was generally correct in his actions. Similarly, during the 1999 elections, the opposition parties found it hard to win the votes of the Orang Asli in most constituencies -- primarily because the Barisan Alternatif (Alternative Front) was identified with Anwar Ibrahim and PAS, entities that spelt conversion to Islam to many Orang Asli. The dynamism and charisma of Dr. Mahathir were perceived, by the Orang Asli, as a source of hope for Orang Asli progress and justice. This view was unfortunately misplaced -- for during Mahathir's tenure as Prime Minister, and even when he was the Minister in charge of Orang Asli affairs, the situation of the Orang Asli either remained unchanged or worsened, as this forgotten minority was further marginalized. For example, despite Mahathir's initial secular outlook, it is ironic that during his tenure, there were greater efforts to convert the Orang Asli to Islam than during the terms of his predecessors. In 1983, strategies were developed to achieve "the Islamization of the whole Orang Asli community and their integration/assimilation with the Malay race". One strategy involved the implementation of a "positive discrimination" policy towards the Orang Asli who converted. The converts were given material benefits both individually and via development projects for the community. In fact, more recently, some government officers responsible for Orang Asli development and welfare have been going as far as to blatantly tell the Orang Asli that their development was conditional on their converting to Islam. Perhaps more than any other group in Malaysia, the Orang Asli have faced the most pressure to convert. While all would agree that those bent on converting the Orang Asli were not acting on the directive of the Prime Minister, there was not a clear directive to the contrary from him. The consequences have been serious, undermining local culture and social structure, but more so in cultivating discrimination and discontent among the Orang Asli, with the resulting community disunity enabling outsiders to exploit Orang Asli lands and resources with ease. Also, what little land that had been legally demarcated as Orang Asli reserves, has whittled away during Dr. Mahathir's stewardship -- from 20,667 hectares in 1990 to 19,507 hectares in 1999. Furthermore, areas that have been earmarked for gazetting as Orang Asli reserves in the 1960s and 1970s, still have not had their paperwork completed and remain as 'approved' or 'applied' lands with contentious legal rights. Worse still, in many areas these lands are now classified as 'state land'. And the land titles that have been frequently paraded as being given to the Orang Asli, if given, are only Temporary Occupancy Licences (TOL) leases, and for much smaller areas than they traditionally owned. 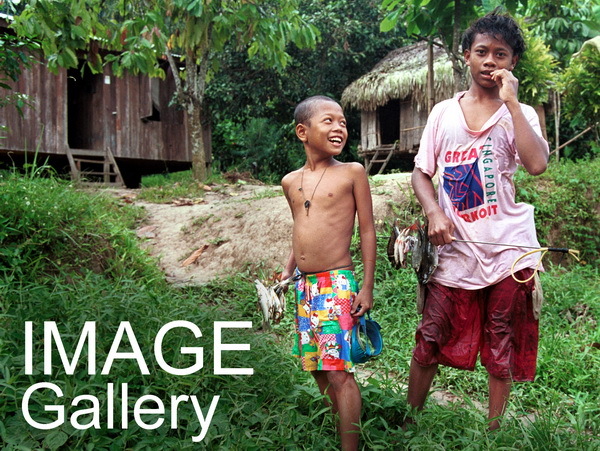 Without their rights to adat lands legally recognized, the Orang Asli have lost their traditional territories to dams, airports, universities, golf courses, highways, recreation parks and resorts, oil palm plantations, housing and commercial townships, logging concessions and forest management units, national parks and conservation areas, industrial centers and even to private individuals. Dams, in particular, such as the Temenggor dam in Upper Perak that displaced Jahai and Temiar communities there, epitomize the imposition of one way of life over another; where the water and power needs of urban folks ride over the rights of Orang Asli to their land, their way of life, and their right to survival with dignity. Also, while the general development of the country was certainly visible during Dr. Mahathir's tenure, for the Orang Asli their situation actually worsened. For example, while the national poverty rate was reduced to single digit levels, the rate for the Orang Asli increased and continues to hover around 81 percent. This high level of poverty among the community has not dented the rise in the number of Orang Asli businessmen-Orang Asli Baru" (New Orang Asli) -- who have largely bettered their economic situation at the expense of the community, largely through logging activities and development projects in Orang Asli areas obtained on the "merit" of their good relations with the authorities and on the strength of their Orang Asli identity. Not surprisingly, the level of inequality among the Orang Asli has increased. In terms of health, despite relative improvements in medical services, the Orang Asli still continue to face problems that reflect underdevelopment. The Orang Asli are still disproportionately afflicted with health problems-specifically tuberculosis, malaria, leprosy, cholera, typhoid, measles and whooping cough-that are easily preventable and curable. Data on Orang Asli health also indicate that malnutrition is highly prevalent. Statistics during the Mahathir era paint a clearer and depressing picture. The infant mortality rate for the Orang Asli is more than triple that of the general population. Similarly, the crude death rate for the Orang Asli is double that of the national population. The life expectancy of Orang Asli at birth is estimated at 52 years for females and 54 years for males. This is significantly lower than that for the national population, 68 and 72 years respectively. More Orang Asli women also die in childbirth relative to other Malaysians. In 1994, for example, an Orang Asli woman was 119 times more likely to die in childbirth than a Malaysian mother nationally. 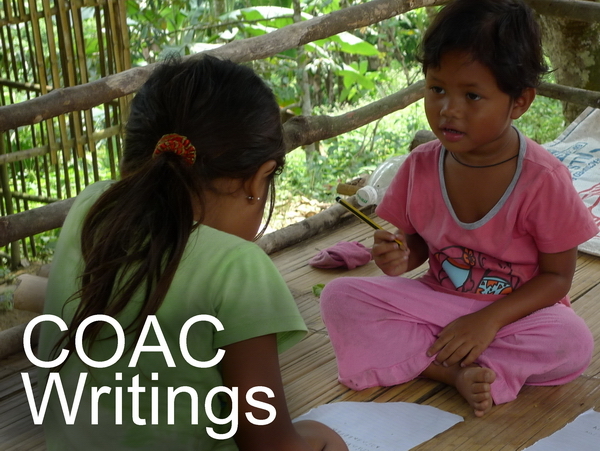 In a similar vein, while there has been some improvement in the levels of education attained among the Orang Asli, education levels still lag far behind those achieved by other communities. In general, about 62 per cent of Orang Asli schoolchildren drop out of school each year while 94.4 per cent do not go beyond secondary (SPM) level. A major reason for this trend has been the lack of facilities and trained teachers assigned to the Orang Asli community, especially before 1995. The former opposition leader, Tan Chee Khoon, published articles in The Star and Utusan Melayu in the early 1980s addressing similar lamentable statistics regarding the Orang Asli. He opined that if all these things were happening to the Malay community, there would be a big hue and cry and some heads would roll. Two decades on, and the situation is not much better for the Orang Asli. And no official heads have even turned. Why is the situation of the Orang Asli so despairingly far from that of the rest of the country? Apparently, like most others, Dr. Mahathir sees the Orang Asli-at 133,000 just a little over half a per cent of the national population -- as an insignificant minority; that is, politically unimportant. I cannot recall any time when the Prime Minister displayed a genuine interest in the Orang Asli's development and welfare. On the contrary, of the few times when big events were organized for mesra sessions with the Orang Asli, it was because Dr. Mahathir needed their political support. For example, in the run-up to the 1990 elections, the parliamentary constituency of Gua Musang in the state of Kelantan was a key seat in the elections. The incumbent member of parliament was Tengku Razaleigh Hamzah, the leader of the Parti Melayu Semangat 46 (whose party consisted mainly of UMNO-breakaways like himself). Tengku Razaleigh was touted as the next prime minister of Malaysia should the opposition win (at the time, not an implausible possibility). Thus, Tengku Razaleigh needed to be ousted from the latter's Gua Musang parliamentary stronghold. This constituency included a very large number of Orang Asli voters, mainly from the Temiar subgroup. From past election results, it was clear that a swing of Orang Asli votes to either side could determine the winner. Thus, for Dr. Mahathir, a sure way to rid himself of his then arch political foe was to ensure that the Orang Asli votes were with the ruling coalition. However, at that time, there were already rumblings among certain groups of Orang Asli who were disappointed with the broken promises of the ruling politicians. It soon became apparent that there was a directive "from above" to remove all obstacles to a BN win in that seat. The campaign to woo the Orang Asli began in November 1989, with a JHEOA (Department of Orang Asli Affairs) organized conference about their future and development-which allowed them to participate! However, more direct and concerted efforts began in early 1990. In March, Deputy Prime Minister Ghafar Baba visited Pos Brook and Gua Musang, promising land titles for the Orang Asli in the state. A new 10-point strategy to develop the Orang Asli community was also announced during the visit. In April, the JHEOA Director-General announced that the headmen's small annual allowances (or bonuses) would be increased. One month before the elections, Dr. Mahathir visited Gua Musang and had a "breakfast meeting" with some Orang Asli. Plans for a big rally had to be scrapped as apparently, word from the ground advised against it. The Prime Minister subsequently "adopted" Gua Musang and commented that the Orang Asli had always been "close to his heart". In the interim JHEOA officers conducted ceramah (talks) in Orang Asli areas or sought support from the Orang Asli for candidates from the ruling coalition. Dr. Mahathir also set up a high-level, multi-agency Orang Asli Coordinating and Implementation Committee headed by the Secretary-General (KSU) of the Home Ministry (of which Dr. Mahathir was then the Home Minister, and under whose ministry the purview of Orang Asli affairs fell). The special committee met twice and acted decisively, at least verbally, on complaints put forward by POASM representatives. It however suffered a natural death immediately after the general elections (which saw the seat being retained by Tengku Razaleigh, though Dr. Mahathir's coalition party obtained a comfortable majority of the seats nationally). Nevertheless, soon after, Dr. Mahathir transferred the Department of Orang Asli Affairs (JHEOA) to the Rural Development Ministry, thereby absolving himself, as Home Minister, of responsibility for the Orang Asli. While many Orang Asli saw this as a good move-since the Rural Development Ministry was the more competent ministry with adequate resources to resolve their problems -- some also saw the abrupt way in which the transfer was made, so suddenly and so soon after the general elections, as an indication of Dr. Mahathir's actual lack of interest in Orang Asli welfare. Very little happened in the ensuing decade until Dr. Mahathir's direct interest in the Orang Asli was again revived in the run-up to the 1999 elections, in the midst of the Reformasi political upheaval. On June 22, 1999, in keeping with tradition in an anticipated election year, the Prime Minister officiated at a big Orang Asli 'jamboree' in Bukit Lanjan, on the outskirts of Kuala Lumpur. About 600 Orang Asli village-heads were bused in from throughout the Peninsular, ostentatiously to witness a function of a private developer who awarded certificates in building competency to 17 Orang Asli youths who had completed training in skills such as bricklaying, plastering and backhoe operations. The establishment of the training institute (at the construction site) was part of the compensation package for the Orang Asli whose valuable land was acquired by the state and later sold to the private developer. Ironically, although it was a function of a private developer, the government, through JHEOA, was involved in more ways than would be expected for such an activity. Each of the village-heads who were bused in was given a new long-sleeved batik shirt, a pair of leather shoes, an allowance of RM50.00 and lodging in a 3-star hotel with full board for the two or three days they were away from their settlements -- all provided for from the JHEOA coffers. Ironically, the cost of organizing this function, born by the JHEOA, was said to be in excess of RM300,000-more than the initial allocation of RM200,000 set aside for establishing the year-long Orang Asli youth construction skills training programme that was launched that day! Clearly, the occasion was a thinly veiled opportunity for the Prime Minister and the Barisan National to campaign among the Orang Asli with a view to the approaching general elections. The Prime Minister's speech, in fact, was well received by the Orang Asli guests, especially when he assured them that the government wanted to upgrade their standard of living "without changing their culture and tradition as in having a Tok batin [village head] as their leader". He was probably not aware that the JHEOA had put in place policies where it was the JHEOA who decided ultimately who the batins would be. Dr. Mahathir also stressed how the Orang Asli were being well taken care of by the government, citing the case of Bukit Lanjan, where he spoke from, and also where the relocation exercise of the 158 Temuan families, it was claimed, would soon turn them into millionaires. "There is no other country where their Aboriginal people become millionaires," the Prime Minister declared, adding that, "In the West, they are herded into reserves and taught to become drunks". He seem to be unaware that only 143 hectares (0.1 per cent) of Orang Asli areas and reserves (131,736 hectares) have any legal title, and that existing Orang Asli reserves were, and are still, being appropriated from the Orang Asli without regard to the protections under the Land Acquisition Act. Moreover, no one however questioned as to how a RM61 million compensation program (that also included compensation in kind) for 158 families could be divided to make them all millionaires. The total value of the development project, incidentally, was RM12.4 billion, making the cost of the land to the developer a mere 0.5 per cent of the project value. More and more Orang Asli are also being asked to move to resettlement areas, where the land is smaller than their traditional claims, and where the best security of tenure they can get is a TOL lease for 99 years. In these resettlement areas, more and more Orang Asli sadly have sought the bottle to find temporary escape from all the problems they encounter. All the same, apart from receiving wide coverage in the local print and electronic media, the Prime Minister's speech at this function was screened repeatedly as a TV documentary in November of that year, in the midst of the campaign period for the general elections. Perhaps the most insensitive comment that Dr. Mahathir could have made for the ears of the Orang Asli was when he declared, on live TV on June 29, 1998 at the opening of the new Kuala Lumpur International Airport (KLIA), that, "one of the reasons why we chose to build the airport here at Sepang was because there was nobody living here". Wisely, none of the printed media carried this comment. But each time I am on a flight taking off or landing on Runway One at KLIA, I think of Batin Senin and his people who had to be relocated to a newly-filled peat swamp area to make way for this new symbol of Dr. Mahathir's 'Malaysia Boleh' vision. Even today, six years after their relocation, their situation is worse off than they were before the resettlement-due in large part to the poor soil condition and the undelivered development promises, including that of 5 oil palms for each one that they had before. To rub salt into the wound, when representatives of the nearby communities were given a free joy ride in one of Malaysia Airlines' jetliners-as a reward for their sacrifices-not a single Orang Asli was on that flight. Perhaps taking a cue from Dr. Mahathir's speech at the opening ceremony, the Orang Asli were invisible again. Dr. Mahathir's apparent perception of the Orang Asli is that they are invisible, insignificant. They do not fit into his national design of his "way forward" for Malaysia, towards Vision 2020. Unless of course, they mattered politically. As a believer in the political right and might of the majority, it is not surprising that Dr. Mahathir chooses to treat the Orang Asli as such. In fact, he had already revealed his position vis-a-vis the Orang Asli in his Malay Dilemma. To him, "the Orang Melayu or Malays have always been the definitive people of the Malay Peninsula. The aborigines were never accorded any such recognition nor did they claim such recognition. Above all, at no time did they outnumber the Malays." For a Prime Minister who was fond of chastizing developed countries for their treatment of their indigenous peoples, Dr. Mahathir, in his classic contradictory self, and his administration are a ripe target for the same accusation. Since Dr. Mahathir was not a hands-on leader when it came to Orang Asli matters, he may have been unaware of how they were treated and relied too much on his officers. Irrespective, the Orang Asli's "invisible" status during Dr. Mahathir's administration, has contributed to their underdevelopment. So, where does the future stand for the Orang Asli? Surely it has to be a reversal of the policies that Dr. Mahathir and his administration have put in place for them, intentionally or unwittingly. For a start, the new leadership should take a cue from Gandhi who, if I may paraphrase, considered that a country's progress and development could only be gauged by the way the most marginalized of its people were treated. 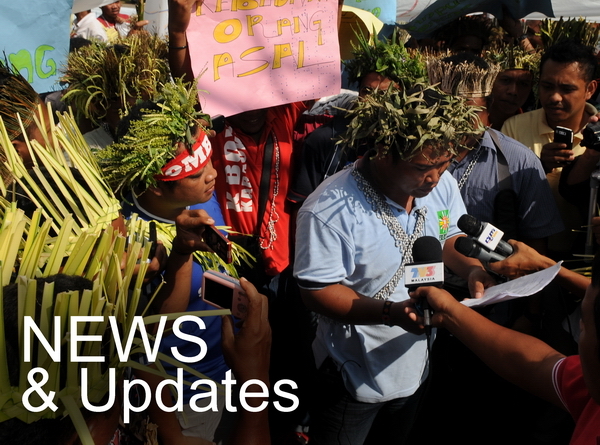 The Orang Asli have made many demands and appeals for their community. These include better access to development amenities, freedom (and support) to practice their religion and culture, security of tenure of their traditional lands, affirmative action in areas of education and livelihood advancement, better health facilities, control of their own department (i.e. JHEOA), and recognition of them as indigenous peoples on this land. These are not unreasonable demands. Dr. Mahathir and his administration have already taken so much from the Orang Asli. It is time to give back to the Orang Asli. A. Baer (1999), Health, Disease and Survival: A Biomedical and Genetic Analysis of the Orang Asli of Peninsular Malaysia, Subang Jaya: Center for Orang Asli Concerns. JHEOA (1983), Strategi Perkembangan Ugama Islam Di Kalangan Masyarakat Orang Asli, Kuala Lumpur: Jabatan Hal-Ehwal Orang Asli. Khor Geok Lin (1994), Resettlement and Nutritional Implications: the Case of Orang Asli in Regroupment Schemes. Pertanika - Journal of the Society for Science and Humanity, 2, 2, pp. 123-132. Mahathir bin Mohamad (1981) The Malay Dilemma, Kuala Lumpur: Federal Publications. Nicholas, Colin (2000) The Orang Asli and the Contest for Resources: Orang Asli Politics, Development and Identity in Peninsular Malaysia, International Work Group on Indigenous Affairs, Copenhagen/Center for Orang Asli Concerns, Subang Jaya.